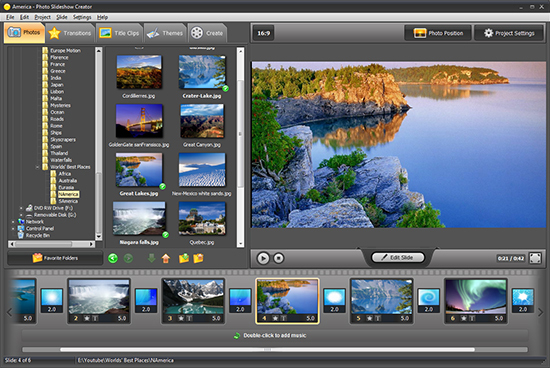 Photo Slideshow Creator is a computer application designed to create original slideshow with effects. 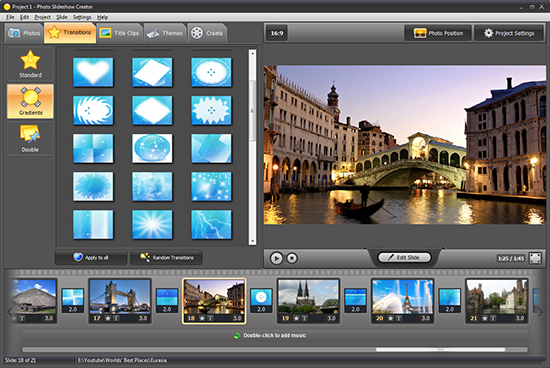 The editor offers all necessary tools and options to create compelling, memorable slideshows from your photos. You select images for the slideshow, add music, text and the slideshow is ready! 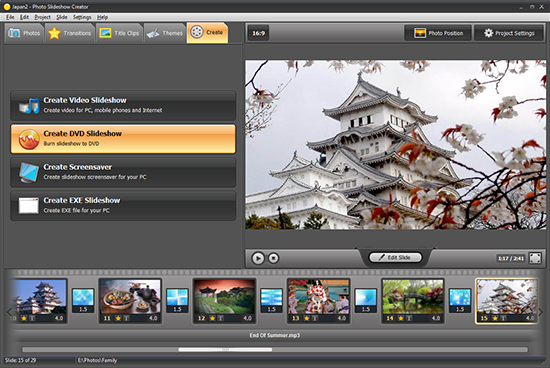 The program allows you to view a slideshow on the computer and share it as video. Using Photo Slideshow Creator, you can create a real movie about some event, journey, person or anything else you can imagine. 2. Select transition effects. 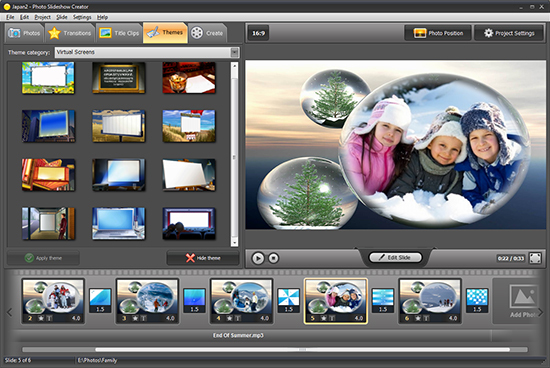 Photo Slideshow Creator provides more than 120 effects. 4. 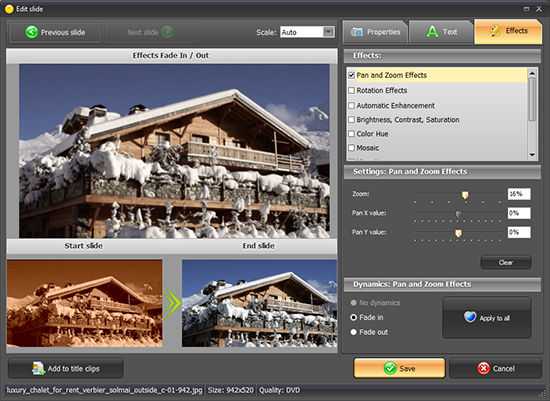 Choose output format - video, DVD disc, EXE or screensaver. 5. Edit slide, add text and apply motion effects.